Are you ready to work towards great SEO results in 2014? The New Year is not far away and for many businesses the planning for the coming year has been done, and everything is ready for a fresh start after the festive season. On the other hand, maybe you are still working on your plan for next year? Either way, here are some great tips that may help you to have even better results with your SEO next year. Work with the best people – This may sound obvious but it is a key aspect to successful SEO. Unfortunately too many businesses choose less than reputable companies and then have to suffer from a lack of return on investment. Be wary of companies who promise you guaranteed results. It is not how genuine SEO teams work. They will look at each client case individually and make professional estimates on what could be achieved. No-one is expecting you to be an expert on content creation, and clever SEO tactics. By working with a good team you will be able to learn from them. They will also do far more than just PPC and keywords! They will help you refresh your content and make recommendations for internet marketing tactics like social media plans, internet advertising, and PR campaigns. Plan to check that your keywords are still relevant and up to date. Again, if you are unsure, then you can get some professional advice. The art is to develop a set of keywords that most closely match the terms that your customers are using to find what you are selling. Incorporate social media and regular content sharing in your plan for 2014. The more regular activity there is from your brand, the more visible you will be to the bots, and this will directly affect your SEO – in an upward trajectory. Browse around and have a look at the websites and content of other companies similar to yours. You’re not plagiarising or copying. You are simply looking at your competition and getting some creative inspiration! It’s a great way to pick up ideas, tips and also, it is a fantastic way to see what NOT to do. You’ll be amazed how much you learn from others, not just their triumphs but their mistakes too. 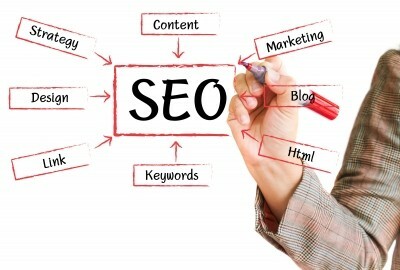 Next year, try to make sure your SEO and internet marketing activities all complement each other. This will also help to boost your rankings and makes your URL irresistible to the bots.